1. Encourage your teen to play a sport this year. Research shows that teens who play sports are less likely to experience depression and anxiety in young adulthood and have higher levels of mental health (Jewett, et al., 2014). Not only is it an indicator of future mental health, if they enjoy playing, it can increase self-esteem (Adachi & Wiloughby, 2014). If sports aren’t their thing, explore other after school activities that they might enjoy! 2. Explore ways with your teen to help him or her get an adequate amount of sleep every night. Teens who do not get an adequate amount of sleep do not perform as well during the school day and have an increased chance of engaging in risk-taking behavior (Shochat, Cohen-Zion, & Tzischinsky, 2014). Sleep plays an important role in health and development, so if your teen is having trouble sleeping at night get to the bottom of what the problem is and work toward fixing it. If you cannot solve the problem on your own, a medical or mental health professional can help you. 3. Make sure that your educational expectations are clear with your teen. In other words, if you expect him or her to graduate high school, make sure he of she understands how you feel about it. What parents expect of their child is actually the highest predictor of how teens will perform in school (You & Nguyen, 2011). 4. Use an authoritative parenting style when it comes to discipline. Teens with authoritative parents (who are warm but still firm) are generally happier and have higher self-esteem (Raboteg & Sakic, 2013). This will increase your teen’s chances of having a better time at school and in their overall functioning. Read more about authoritative parenting style here. 5. Seek professional help if they are struggling. Whether it is a mental health issue, an academic performance issue or another complaint, all can be addressed with the help of professional. Don’t be afraid to ask for help from an outside source whether from a tutor, counselor, therapist or doctor, they can all help! Remember adolescence is a difficult time and it doesn’t mean that something is wrong with you or your teen if you need to seek outside assistance. It is totally normal and if it helps make this time a little easier for everyone involved, it is worth it! 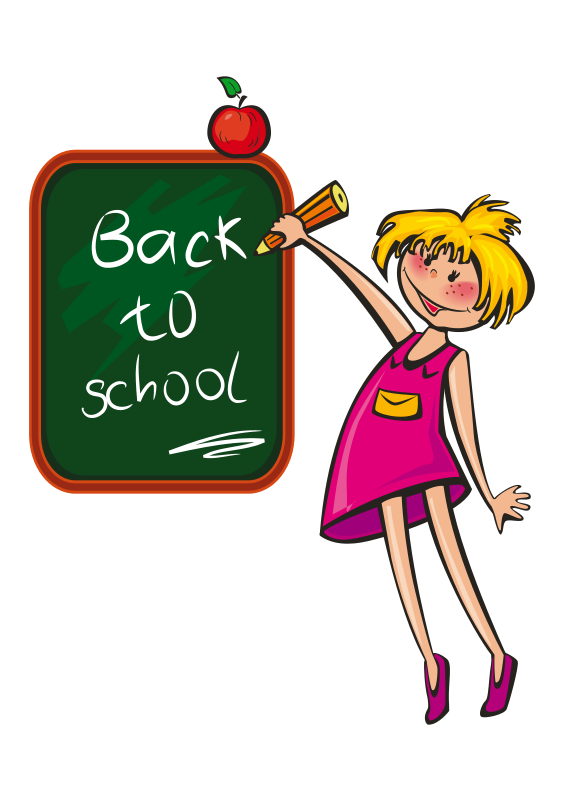 Happy back to school time everyone! I wish you a great year! Jewett, Sabiston, Brunet, O’Loughlin, Scarapinccia & O’Loughlin (2014). School participation during adolescence and mental health in early adulthood. Journal of Adolescent Health. Adachi & Willoughby (2014). It’s not how much you play, but how much you enjoy the game: The longitudinal associations between adolescents’ self-esteem and the frequency versus enjoyment of involvement in sports. Journal of Youth and Adolescents. Shochat, Cohen-Zion, Tzischinsky (2014). Functional consequences of inadequate sleep in adolescents: A systematic review. Sleep Medicine Reviews. You & Nguyen ( 2011). Parents’ involvement in adolescents’ schooling: A multidimensional conceptualisation and mediational model. Educational Psychology.